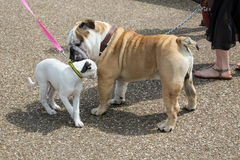 Every day when I am out walking we encounter other people with their canine friends, taking a stroll through the park. Some days we meet up with strangers and other days we encounter faces and wagging tails that we are familiar with. This morning we happened upon Molly, a very cute golden mix and her person! It is interesting watching the dynamics of dogs as they meet, and as odd as it sounds, watching Diesel interact with Molly on this particularly snowy morning, got me to thinking about the world in general. The two pooches have met one another on several occasions, sometimes they greet with wagging tails and everything goes smoothly. Other days there is a bit of a hiccup, a tense few minutes, one might decide to growl or jump back appearing like they are ready to get into a tousle, hackles raised and eyes locked. I started thinking about Canada, Mexico, and our mutual neighbour, the United States and how I feel people in general are not sure how to perceive or react about the current political climate. President Enrique Nieto, decided to cancel an impending visit to the U.S. to meet with recently inaugurated President Donald Trump. As odd as this sounds, the dogs reactions to one another this morning, had me thinking of how people might currently be experiencing a change in leadership. Nieto is feeling like Trump has decided to show his teeth, before the cordial greeting could even get started. Myself and the gentleman, at the other end of the leash, felt the tension between the two dogs and braced ourselves, ready for a potential skirmish between the two dogs. We both backed up a little, gave our canine charges some time to reevaluate things, and thankfully, the two reassessed the situation and tails began to wag! Both dogs relaxed and sniffed one another once again and the greeting ended up on a positive note! I found myself hoping that the gentlemen that are in power in our three countries are able to follow our canine brethren’s example. Wouldn’t it be lovely if all the trepidation, angst and uncertainty that we are all feeling could be alleviated if these men were able to step back, regroup and try again! It sounds inanely simple, perhaps a little ridiculous that I am comparing the meeting of two pooches in the park to they way the leaders of our nations should go about handling our countries affairs, and yet I think there is so much to be learned from our four legged friends! As the saying goes “If at first you don’t succeed, try, try again!” If only life in the political arena could be that simple, we would not be walking on tender hooks, fearful of what the future holds and wondering if the relationships with our neighbours will be a friendly one!